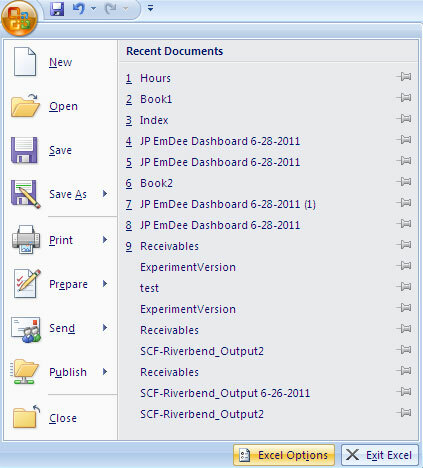 The setting for enabling macros in Excel 2007 is hidden in the Developer tab, and by default the Developer tab is not shown in the office Ribbon. 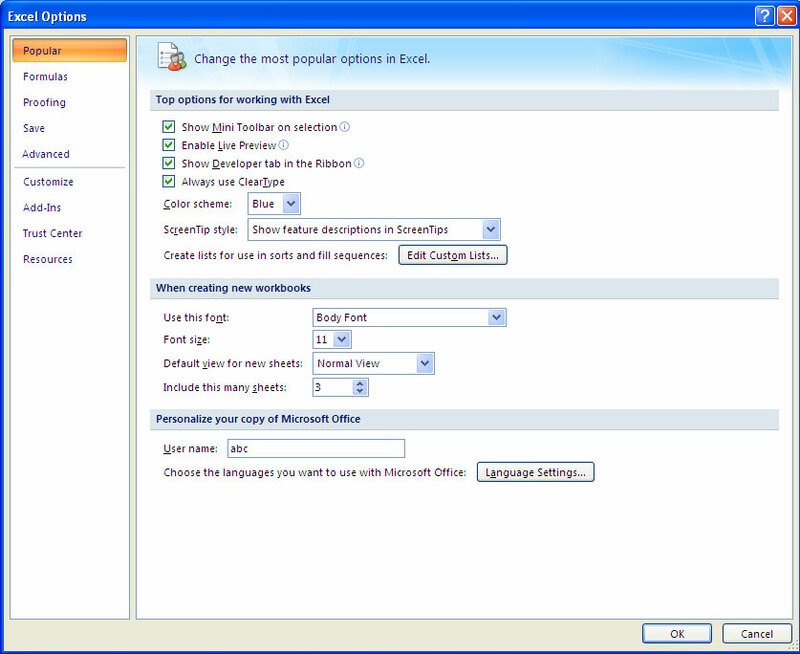 Click the Office (four colored squares) icon at top left of Excel, then click on “Excel Options”. Next, click on “Popular” on the side and check the box next to “Show Developer tab in the Ribbon” and click OK.
Now the Developer tab will be showing in your Excel ribbon. Now, after clicking on the Developer tab, select “Macro security” and then check the “Enable all macros” option and click OK. Excel will tell you this is not recommended and potentially dangerous, but your virus program should be adequate to stop any Excel viruses (which are relatively rare these days). Close Excel and reopen. Now macros are enabled in your workbook! If you have any problems opening or running a file with macro’s, also make sure you save the file to your hard drive and open using Excel or navigate and click on it from My Computer, instead of trying to run directly from your email.